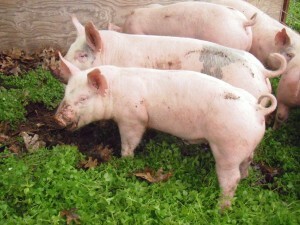 If you raise animals, sooner or later you will be faced with the issue of culling. A cull is an animal that doesn’t fit the standard you’re breeding for. It could be a chicken that doesn’t lay very well, a meat bird that doesn’t gain enough, a ewe that twins annually but always abandons the second lamb. I remember, lo these many years ago, my father’s partner waxing eloquent on the issue of a neighbor who raised registered Hereford cattle. The old boy was darn proud of his fancy papered cattle and their premium bloodlines. He’d bred for the ideal confirmation and I must say his cows looked gorgeous. Except the cows didn’t give enough milk to raise a calf, so if you bought a cow from him he threw in a lower-quality unregistered cow as a nurse cow to supply extra milk. Breeding for for m (read beauty) instead of function is asking for trouble. We raised Quarter Horses for years and one of the biggest halter horse sires was the stallion Impressive. I admit he was a beauty – nearly ideal confirmation – and I was scheming to come up with the money to get at least one Impressive-bred mare in my herd. Until I discovered that Impressive had never earned a single performance point because at the age of two he developed congenital ringbone, so they turned him into a halter horse instead. For those of you who are not horse people, ringbone affects a horse’s feet and makes him predisposed to go lame. No feet, no horse. That took care of any desire I might have had to include the Impressive genes in my horse herd and saved me from a lot of grief later down the road when it turned out Impressive was also a carrier of a genetic disorder. Impressive was the initial carrier of hyperkalemic periodic paralysis or HYPP, which is often fatal and is traumatic for horse and owner even when it’s not fatal. 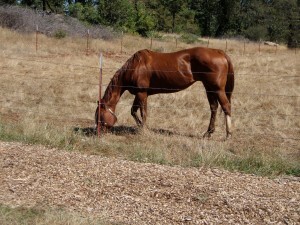 His popularity as a sire disseminated the gene widely in the Quarter Horse breed, as well as the closely related American Paint and Appaloosa breeds. It is estimated that 1 in 50 Quarter Horses has HYPP because a pretty stallion was not culled for a genetic unsoundness. A performance animal should be able to perform. Quarter Horses are bred for versatility and there is very little they can’t do; they absolutely must have the conformation to support their performance. A horse that has the conformation and breeding to stay sound will give you twenty years or more of use. A chicken that’s bred to be an egg layer should darn well lay eggs and a cow should be able to raise a calf without another cow to supply the milk. No matter how much you may like a particular animal, if you are breeding them, you must learn to cull. What qualities make a cull animal? 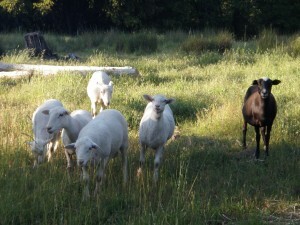 I would turn that question around: what qualities do you want in your flock or herd? We wanted horses with good bone (which meant they looked a little heavier than many modern Quarter Horses and were not as “fashionable”), gentle dispositions and good minds – meaning easy to train, smart, willing and sensible. Mares had to produce a colt with no trouble and breed back easily. Stallions had to be easy enough for me to handle alone, as my husband was often working away from home and I had to do the breeding by myself. Luckily, we never had to deal with the problem of a horse we fell in love with that couldn’t produce. By selecting carefully in the first place and breeding during the natural cycle for spring colts – many breeders try to have mares foal in January, which can mean tinkering with their cycles using drugs or lights – we met our goals. We only bought one brood mare who didn’t catch after plenty of opportunity, so she went down the road. Culling animals isn’t easy, but it’s necessary.